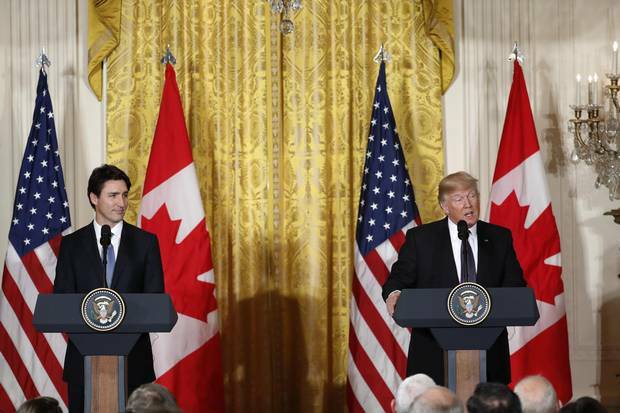 Prime Minister Trudeau, President Trump. The Trudeau and Trump Administrations continue to move toward negotiations to modernize the Columbia River Treaty. As Canada and the United States start negotiations over the Columbia River Treaty, the University of Montana will host a conference to discuss the future of rivers flowing through western Montana. “One River, Ethics Matter” will take place from 8 a.m. to 5 p.m. Wednesday, April 11, in the University Center Ballroom. The event is hosted by UM’s Center for Natural Resources & Environmental Policy and the Department of Geography and is free and open to the public. Lunch is provided, and an evening reception will follow. Participants are required to RSVP at http://bit.ly/2EWa6yi. Tribal, First Nations and religious leaders from the Upper Columbia River will lead the one-day conference on ethics and the past and future of the Columbia River. 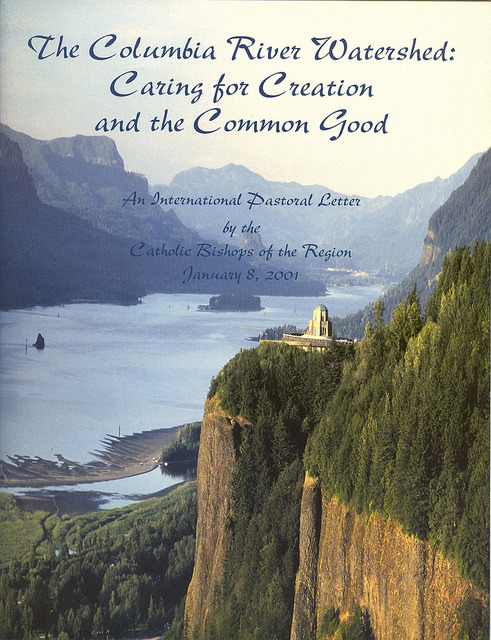 The conference series is a multiyear undertaking based on the Columbia River Pastoral Letter issued in 2001 by the 12 Northwest Roman Catholic Bishops of the international watershed, combined with tools used by hospital ethics consultation services. Brian Lipscomb, Confederated Salish and Kootenai Tribes, CEO of Energy Keepers Inc.
“One River, Ethics Matter” will examine the moral dimensions of the dam-building era, focusing on U.S. Indian tribes and Canadian First Nations people, rivers and the life that depends on them, and the compelling need to add ecosystem-based function to the Columbia River Treaty. Here was a place where tens of millions of wild salmon returned each year to spawn in forest and desert streams renewing a great cycle of life, a river where people’s existence and culture from time immemorial depended on these returning salmon. At the time of first contact between indigenous people and Lewis & Clark, and then later British explorer David Thompson, the Columbia River was perhaps the richest salmon river on earth. In a few centuries – the blink of an eye – the forces of Manifest Destiny brought catastrophic change upon the indigenous peoples of the Americas. The dam-building era in the Columbia Basin was a part of colonial settlement and escalated resource extractions. Dams, while bringing benefits for many, wrought massive environmental destruction and wrenching change for life that depends on the river. Without consulting tribes and First Nations, the federal governments of the U.S. and Canada along with the Provincial B.C. government negotiated the Columbia River Treaty and ratified it in 1964. Not surprisingly for an international river treaty negotiated during the 1950s (and without including indigenous people in treaty decisions) the Columbia River Treaty has only two purposes: generating hydropower and flood risk management. 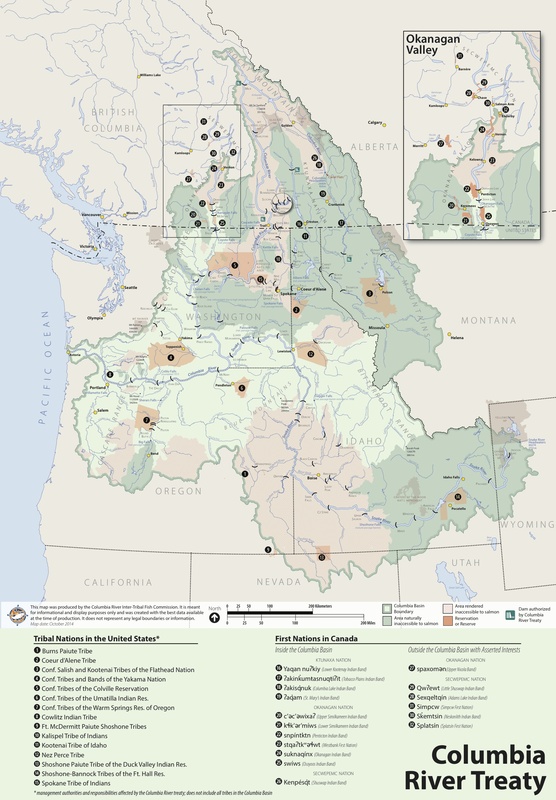 Given this history and unfolding climate change, tribes, First Nations, faith leaders, and NGOs are advocating that Ecosystem-based Function – river stewardship – be added to the Treaty as a third treaty purpose equal to hydropower and flood risk management. 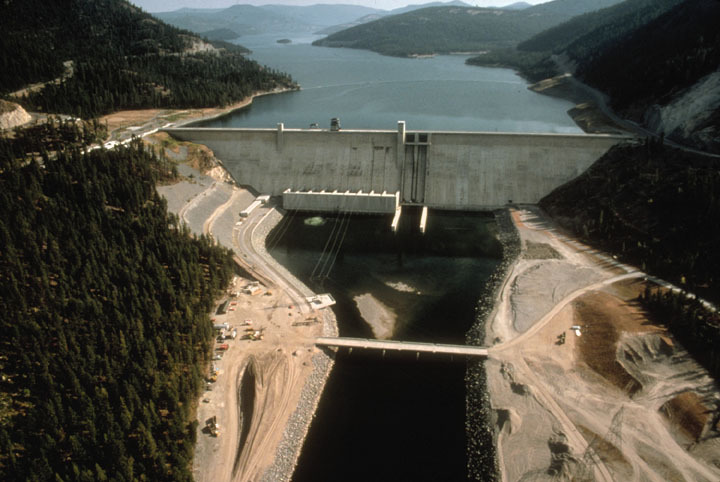 Ecosystem-based Function includes passage for fish blocked by dams, reconnecting rivers to their floodplains, and stabilizing reservoir levels. Also central to the future of the Columbia River: who decides river management? To right historic wrongs requires that Canada and the United States expand river governance to include tribes and First Nations in multinational river governance. – The Columbia River Watershed: Caring for Creation and the Common Good. Ethics Conference SeriesRevelstoke 2017 – Overview | film Boise 2016 – Overview | Agenda Portland 2015 – Film | Overview | Agenda Spokane 2014 – Film | AgendaThe “One River, Ethics Matter” conference series focuses on the dam-building era’s impacts on the Columbia River, modeled on South Africa’s “Truth & Reconciliation Process” in response to another great injustice, apartheid. These water-ethics conferences have two foundations: (1) the Columbia River Pastoral Letter by the Roman Catholic Bishops of the international watershed, and (2) tools used by hospital ethics committees. These conferences are interdisciplinary. They bring together tribal elders, historians, scientists, ethicists, faith leaders, and others to understand rivers through our history and as our responsibility. The Séliš Ksanka Qlispé Project on the Flathead River, a federal license now held by the Confederate Salish and Kootenai Tribes, the first in the nation to own and operate a major hydropower facility. The ethics conference will discuss ecosystem-friendly measures known as “Montana Operations” (including “VarQ” flood risk management) as possible models for future management of the dam system throughout the Columbia Basin to advance ethical principles of justice and stewardship. The One River, Ethics Matter conference is free and open to the public. Lunch is provided to participants.